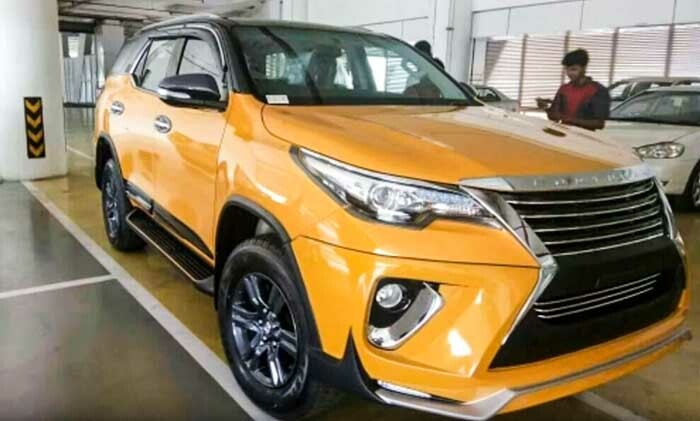 The new 2019 Toyota Fortuner is one of the most classy and premium looking SUVs out there. 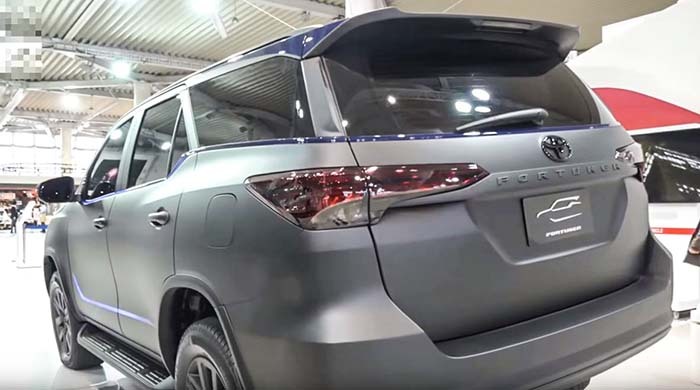 Even in its stock form, the new fortuner has amazing looks and is much appealing to the public eye. It is one of the most popular SUVs around the world and moreover, it is outselling every other vehicle in the segment, even the much lower priced ones. Here we hand-picked the Top 10 most outstanding 2018 Toyota Fortuner modified SUVs. Take a look at them below. 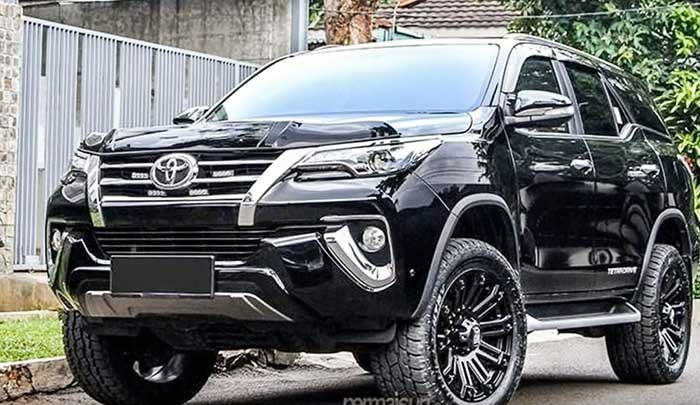 This 2019 Toyota Fortuner modifications has been done by a popularly known modification company called TRD. As per the owner, the modifications costs around Rs 1,10,000. The whole vehicle gets a new Rally theme based Body-kit along with all the decals pasted across the vehicle. The front bumper has been removed to prevent scraping around the rally track and has been replaced by a new off-road spec steel bumper. The whole vehicle has been uplifted by a few inches and there are all new pure off-roader tyres along with new rims. 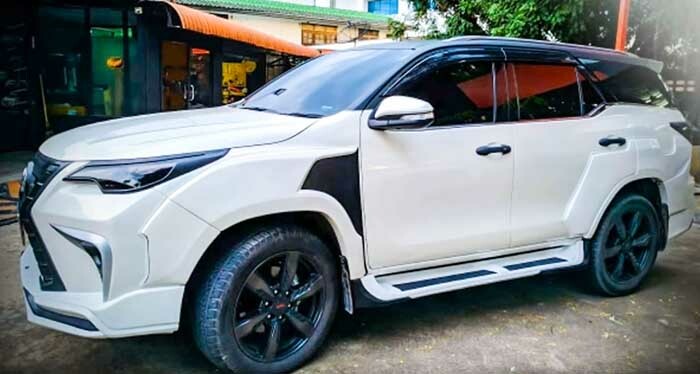 This new Toyota fortuner’s modifications has been done by a company called Nippon Customs. As per the owner, it costed around Rs 35,000. 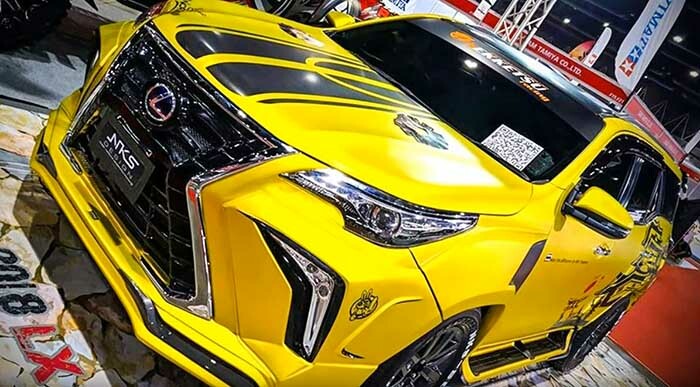 The modifications include an all-new body kit that includes new fat Lexus-based front chrome grille along with both front and rear bumpers. There are small chrome accents across the vehicle along with a gloss black painted roof. The side mirrors have been blacked out as well. 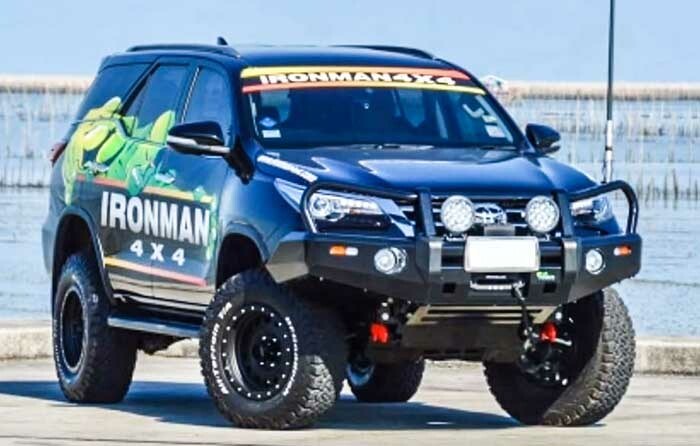 This new fortuner’s modifications has been done by a company known as Tas 4×4 and it costs around Rs 1,00,000. 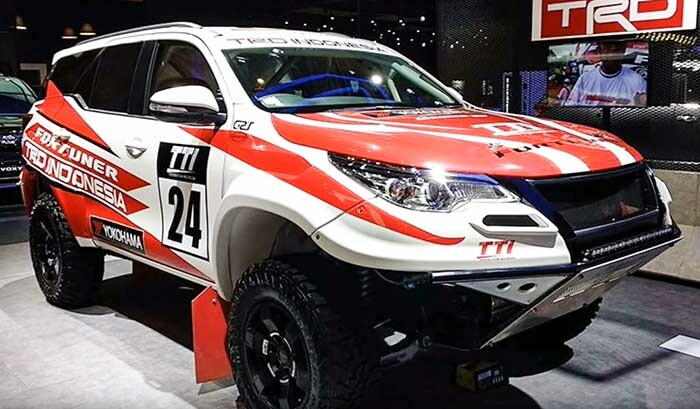 The modifications include an all-new off-road specced body kit that completely eliminated the front bumper with a taper steel unit. Similar to the Rally version above, this Fortuner gets new fatter off-road tyres along with matching rims. 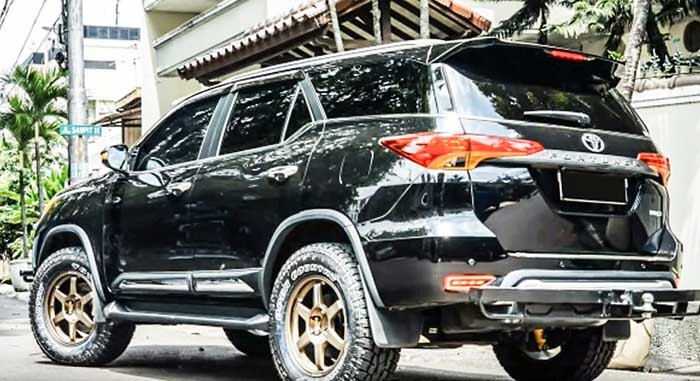 This 2019 Toyota fortuner has been modified by Permaisuri and it costed the owner around Rs 58,000. The modifications include all new alloys that have been painted gloss black and new front and rear bumpers. There are small chrome accents across the vehicle and new Quad-LED Daytime Running Lights in between the front grille. 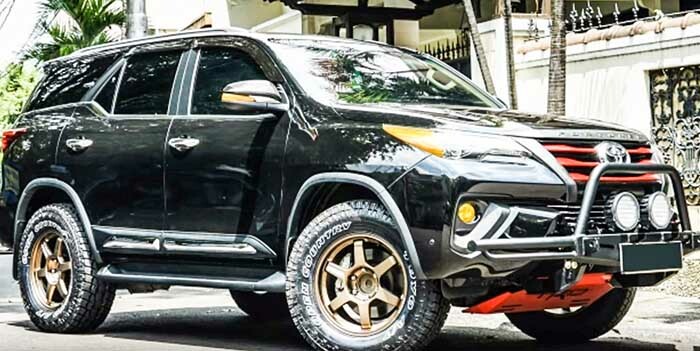 This new-generation Toyota fortuner has been modified by Toyota itself and it costs around Rs 1,30,000 over the regular Fortuner. 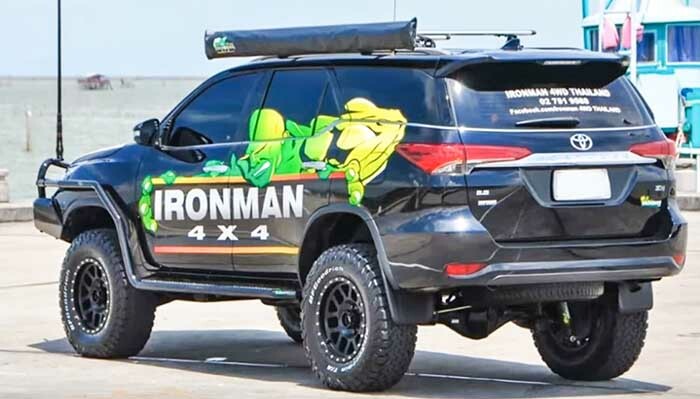 Toyota transformed all the black and chrome parts across the vehicle to match the new SUVs exclusive color, the Matte Black. 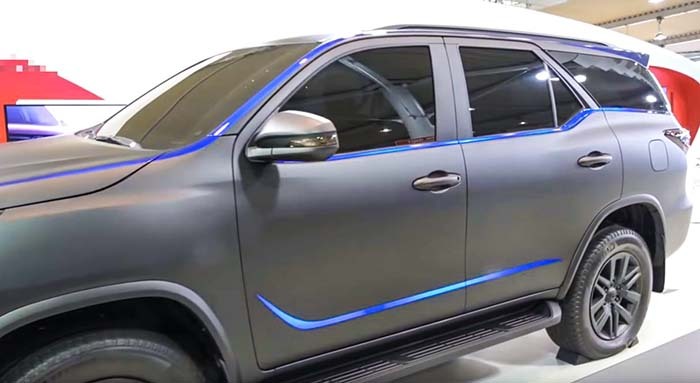 There are ambient lighting strips on the outside of the vehicle that can change color. The taillights have been smoked out and the chrome fortuner logo has been painted matte black as well. Only the part that remained chrome and stock is the Toyota logo upfront and at the rear. 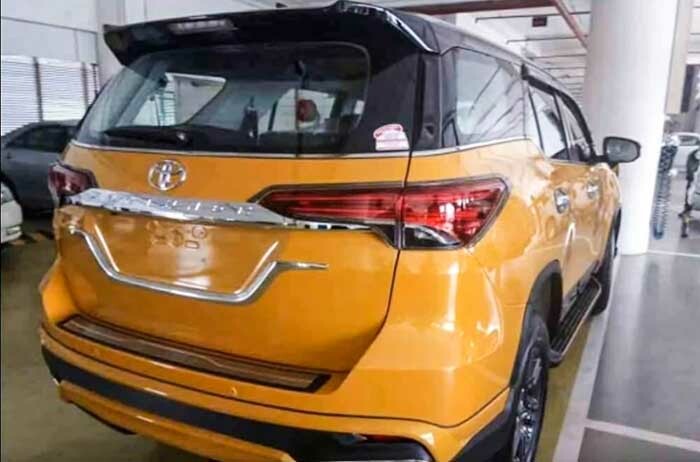 The above 2019 Toyota Fortuner has been modified by NKS Design and it costed the owner around Rs 79,000. The modifications include an all-new Lexus based grille and a new wide boy kit. The front bumper gets new LED DRLs just beneath the Fog lamps and there is a new roof spoiler that comes with the body kit itself. The body kit spreads throughout the vehcile, even on the sides. 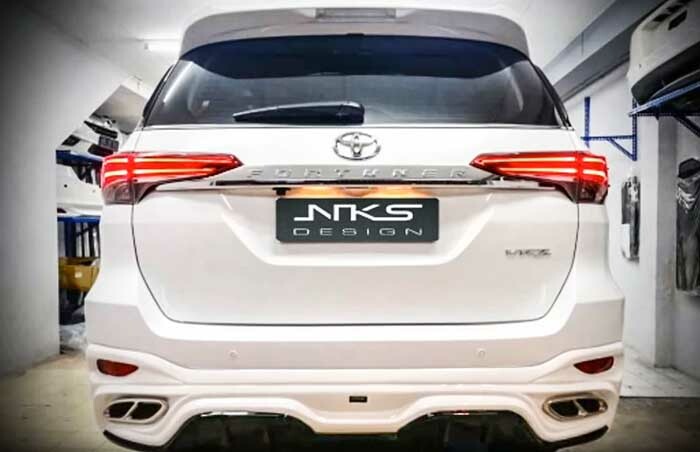 On the rear, the Fortuner gets new LED tail lamps and new rear diffuser along with new chrome exhaust tips. 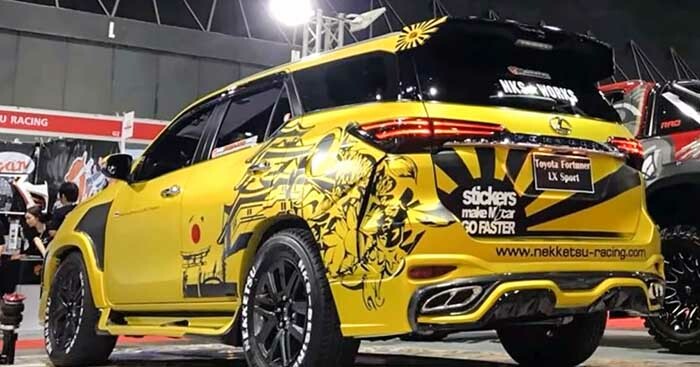 The above Toyota fortuner has been slightly modified by Volk Racing and it costs around Rs 67,000. There is a new front bull-bar that sports dual light lamps along with contrast red accents across the front grille and at the bottom diffuser. The vehicle gets gold painted rims and new fatter off-road tyres. There is a bumper guard at the rear and the windows have been transformed into jet black ones. 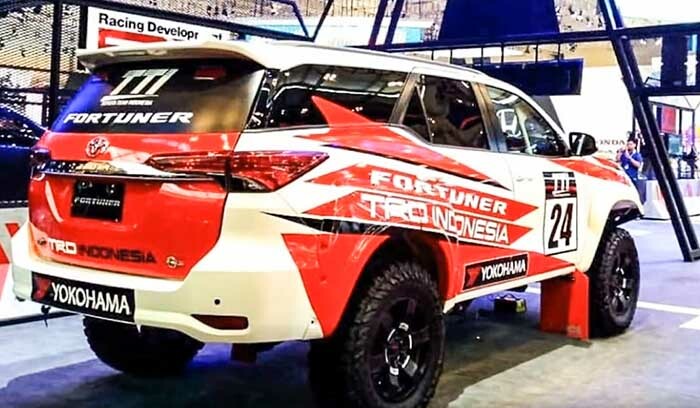 The above 2019 Toyota fortuner has been modified by the world renowned DC Design which and this Fortuner’s modifications costed around Rs 4,90,000. 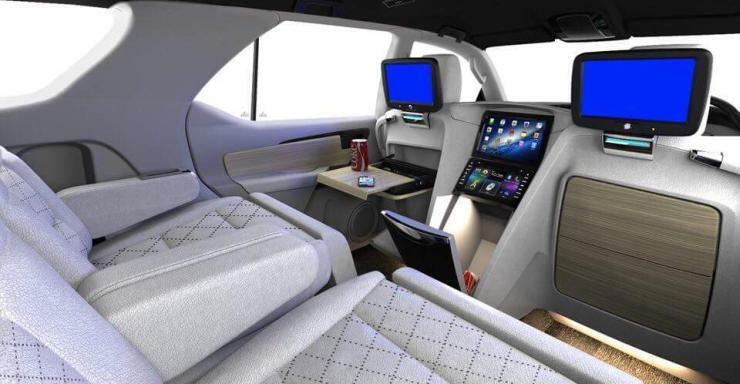 The cabin is redesigned by DC and it is the most premium and luxurious SUV cabin out there. The rearmost row has been removed completely and it now gets new fully electric seats. The Front seats now include retractable trays at the rear and new multimedia players behind the headrests. 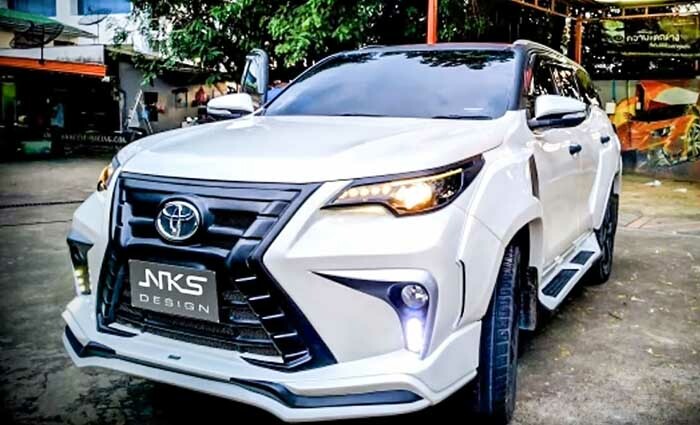 This Fortuner has been modified by Nekktsu NKS Design and it costed the owner around Rs 1,45,000. The vehicle has been painted in a matte yellow finish and there are small decals that spreader across the vehicle. Twin vinyl lines are visible across the bumper that spreads all the way to the rear of the vehicle. All the windows have been transformed into jet black ones and the rims have been painted gloss black along with new tyres. 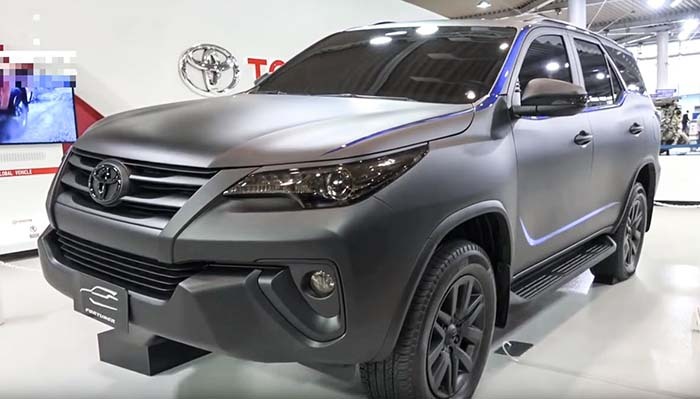 The above 2019 Toyota Fortuner has simple modifications but yet it makes the vehcle stand out apart. 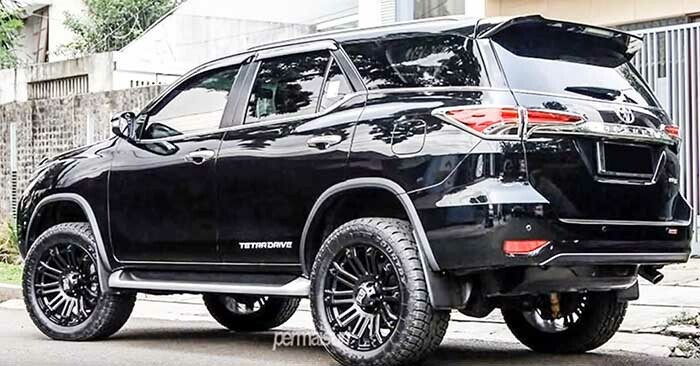 This modified Fortuner above gets a new sportivo shaped grille that Toyota offers in the foreign market. 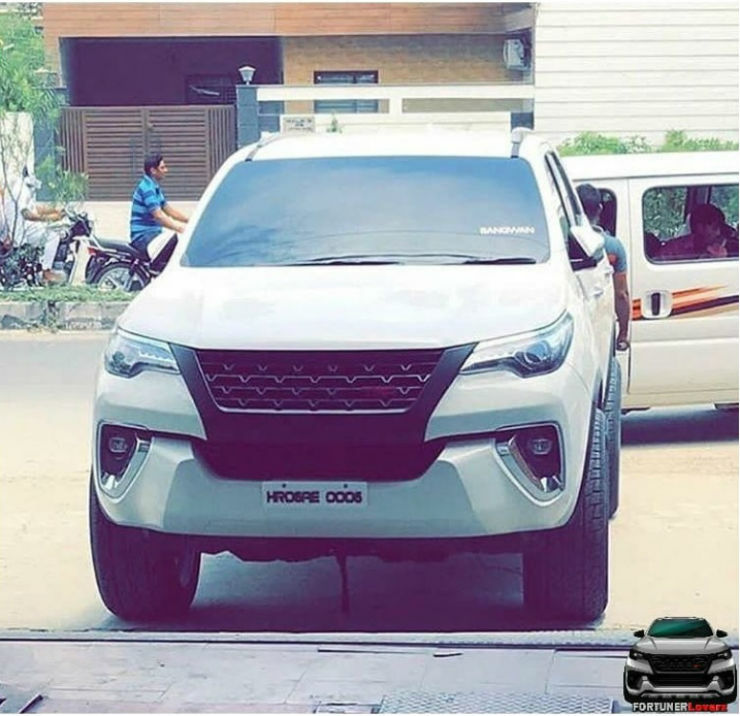 The owner got this similar looking aftermarket grille installed along with new fatter tyres that really makes the vehicle stand out from other and makes it truly unique.